to the Year 4 Cross Country Team!! 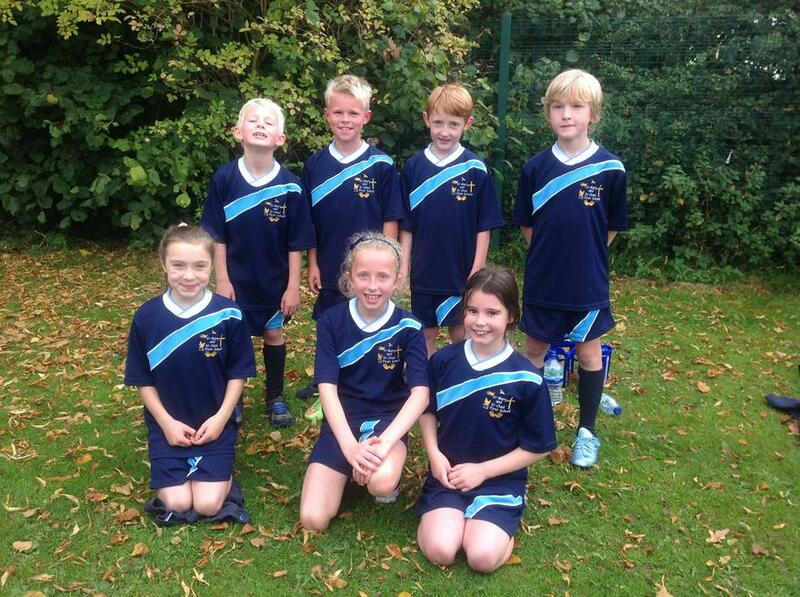 Year 4 entered a cross country tournament at Brewood Middle School field on Monday 5th October 2015. Here are the names of the people who attended cross country: Noah Norman, George Woodward, Thomas Culverhouse, Matthew Bassford, Kaia pope, Lara Smith and Harriet Loynes. We ran against St Michael’s, St John’s and St Paul’s. We came first and we got to the FINAL! Year 4 visited Wolgarston High School and Brewood Middle School in June to join their friends in the collaboration schools for Summer Sports Activities. Wolgarston Sixth Form students organised the events at their school and Brewood Year 8 pupils organised the activites at their school. It was a fantastic opportunity for our Year 4 pupils to mix and meet other Year 4 children who will be in Year 5 with them at Brewood Middle School and at Wolgarston Year 9 in the future. On Thursday 5th March 2015 Year 4 submitted 2 teams for the Staffordshire inter-school Cross Country Tournament. The teams comprised of 4 girls and 4 boys running 800m each on the Brewood Middle School Field track. Our A team took 1st place followed by the B team in 2nd place. The A team was invited back to compete in the semi final competition in April. On the 23rd April 2015 our A team took part in the semi finals of the Staffordshire inter-school Cross Country Tournament and collected 5th place! A big well done to those children who took part; they showed stamina, commitment and perseverance from start to finish. Angel Wood, Robyn Cattermole, Rebecca Hough, Bella Franklin-Jones.